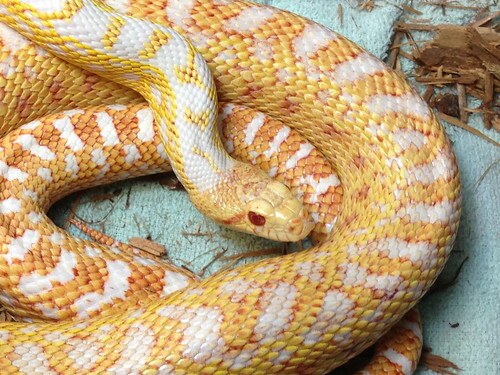 So out of curiosity, why do you believe he is an albino San Diego gopher snake- Applegate strain? Basically, what characteristics would mark him as that? I tried to do a search for it, but was having a hard time finding specific info. Our guy has a lot of red/pink "splotches" down his sides. It's hard to see in pictures, though. Any good websites/books that talk about the different gopher snakes?